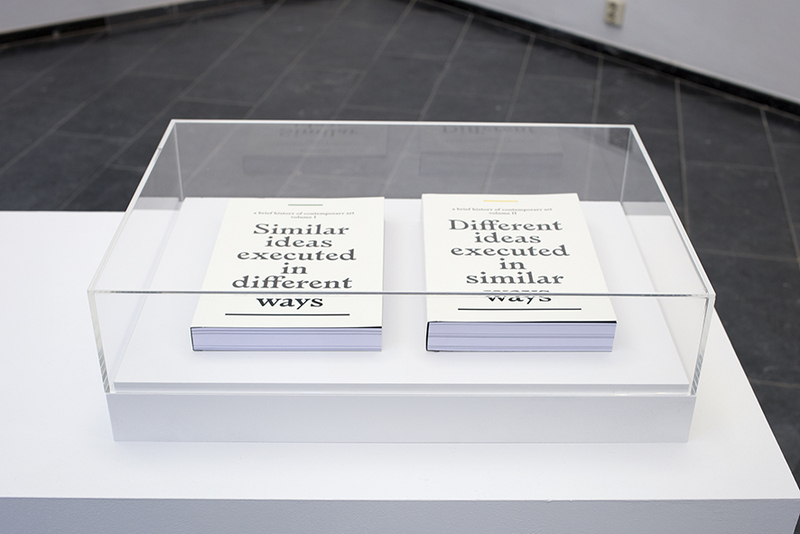 A series of works that revolve around the same basic thought but are executed in different versions. First in the series are four volumes of a fictional encyclopedia for contemporary art: Volume I-IV (A brief history of contemporary art). 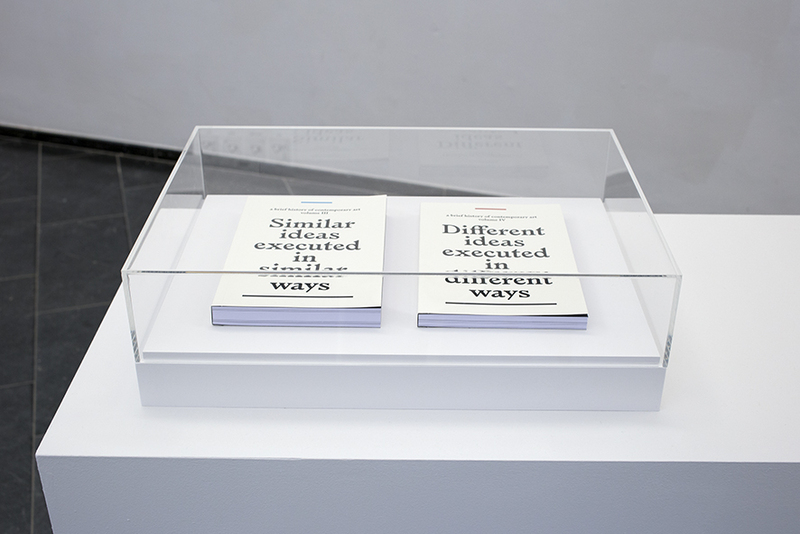 The books, each heaving a different amount of pages are four variations on the same sentence and combine four methods for ‘making art’. While using the apparent authority of books and encyclopedias, the books question whether or not it is still possible to make something entirily authentic within the realm of contemporary art. 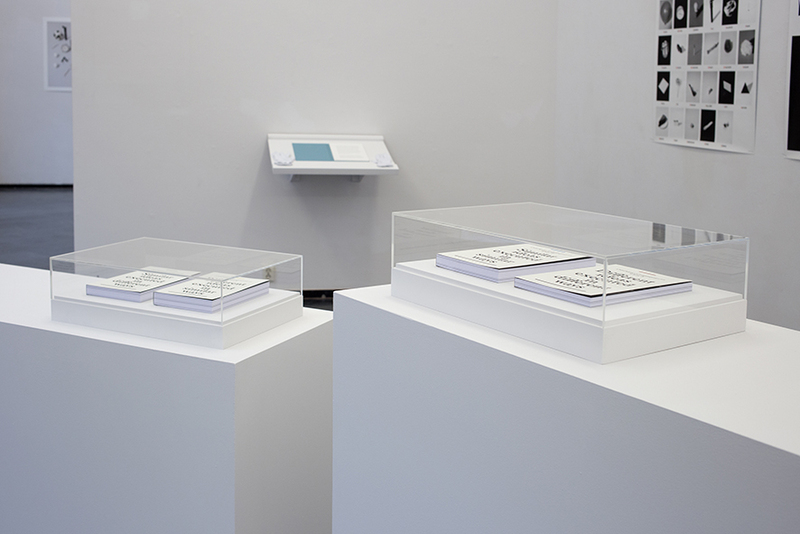 Exhibition view of Volume I-IV (A brief history of contemporary art) in the exhibition Reading Between Not-Straight Lines.